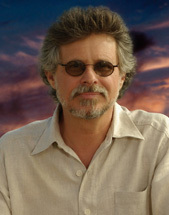 Steven Raichlen is a multi-award winning author, journalist, lecturer, and television host. His bestselling books and his Public Television shows—Primal Grill and Barbecue University—have redefined American barbecue. Raichlen’s 29 books include the international blockbusters The Barbecue Bible and How to Grill and the New York Times bestselling Planet Barbecue, published by Workman Publishing. His work has appeared in The New York Times, National Geographic Traveler, Food & Wine, Bon Appetit, GQ, and Esquire. His books have won 5 James Beard Awards and multiple IACP cookbook awards including the Julia Child First Book Award. His cookbooks have been translated into 15 languages. Raichlen founded Barbecue University, which takes place at the luxurious Broadmoor resort in Colorado Springs. He has lectured on the history and culture of barbecue at the Smithsonian Institution, the Library of Congress, and the National Press Club. He holds a degree in French literature from Reed College and hosts a French language TV show called Le Maitre du Grill. Raichlen studied medieval cooking in Europe on a Thomas J. Watson Fellowship and was the recipient of a Fulbright. In May 2012, he will publish his first novel.